Gobbledygeek episode 115, “Actual Size,” is available for listening or download right here. Are you ready for Gobbledyween 2012?! Well, even if you’re not, it’s here now, so. This year, we’re looking at a different Halloween-themed TV episode each week in October. 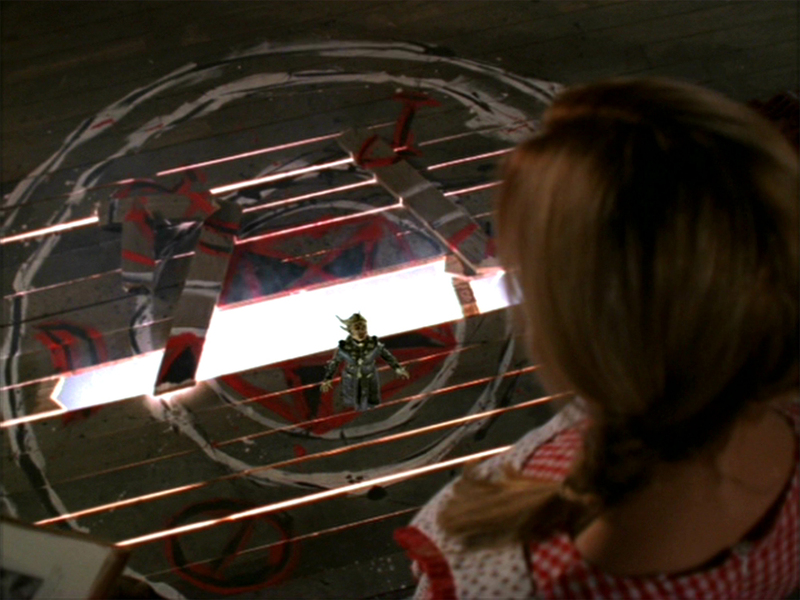 First up is “Fear, Itself,” from the fourth season of Buffy the Vampire Slayer. The gang’s fears are all made real at a haunted house that’s a little more haunted than your average house. Paul and AJ talk about how the group’s fears drive them away from one another, how that resonates with the overarching themes of the series, and even defend season 4 as a whole. Plus, they also rave about Looper. This entry was posted in Shameless Self-Promotion and tagged adam bitterman, buffy, buffy the vampire slayer, film, gobbledygeek, halloween, joss whedon, libsyn, looper, movies, podcast, sarah michelle gellar, television, tv. Bookmark the permalink.